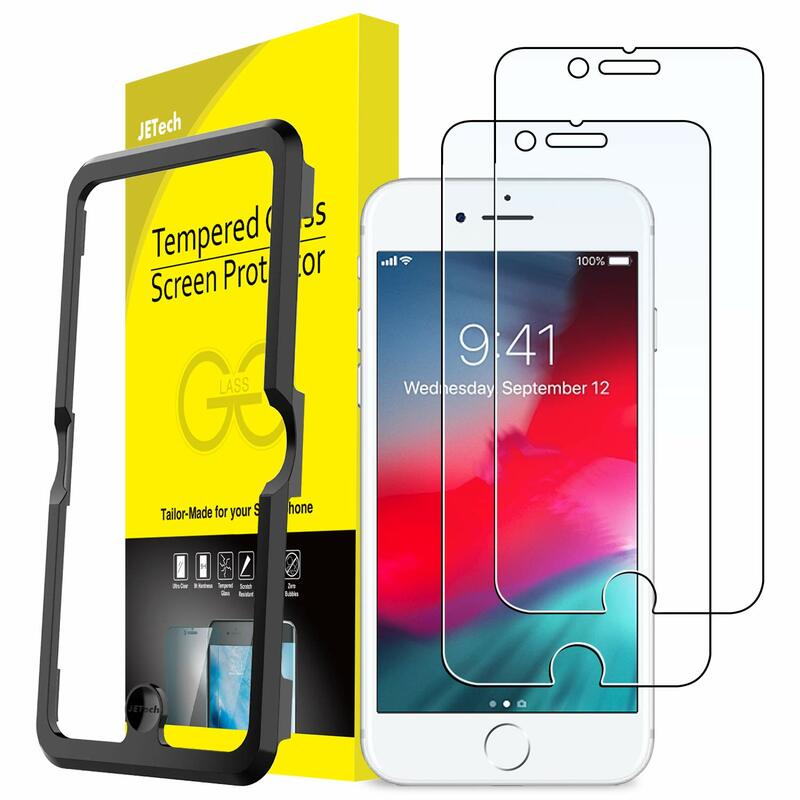 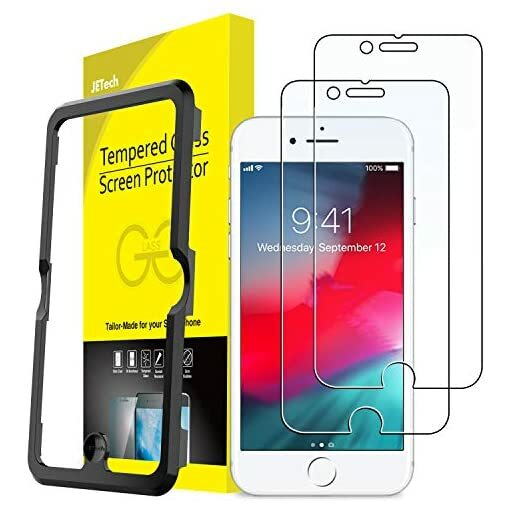 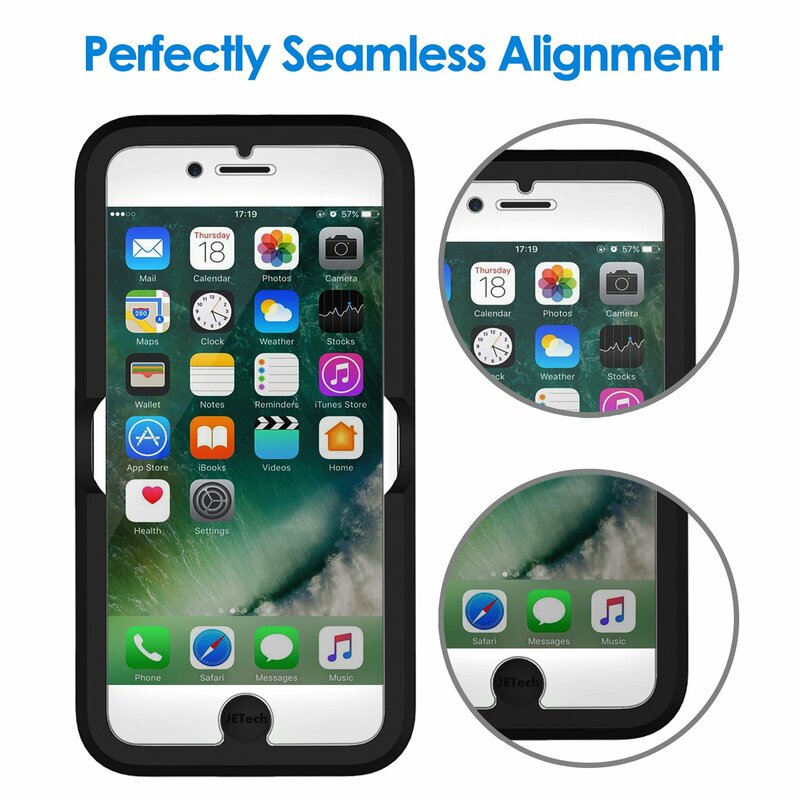 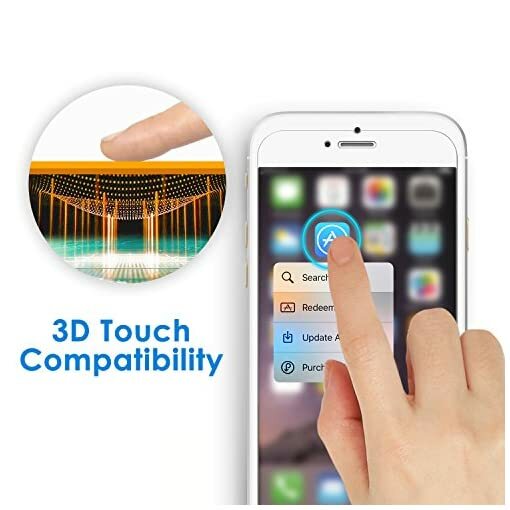 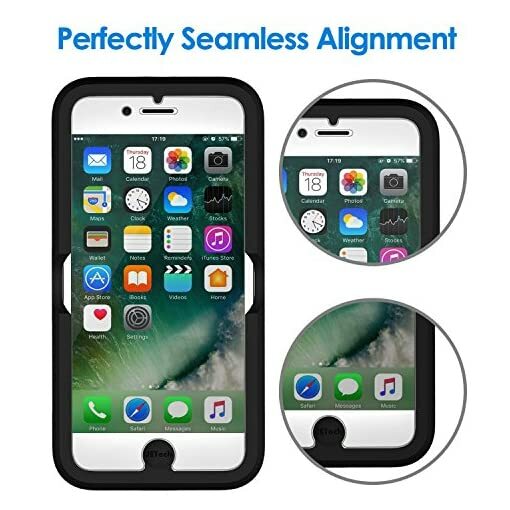 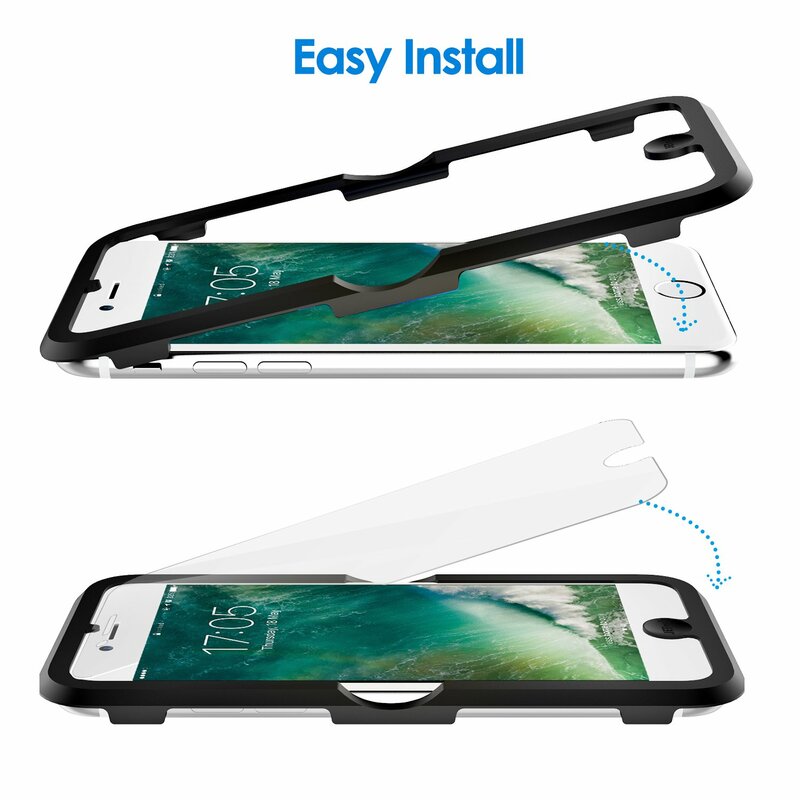 Come with Easy-Installation tool: simply clip the applicator frame on the iPhone, place the screen protector over the frame and get a perfect alignment. 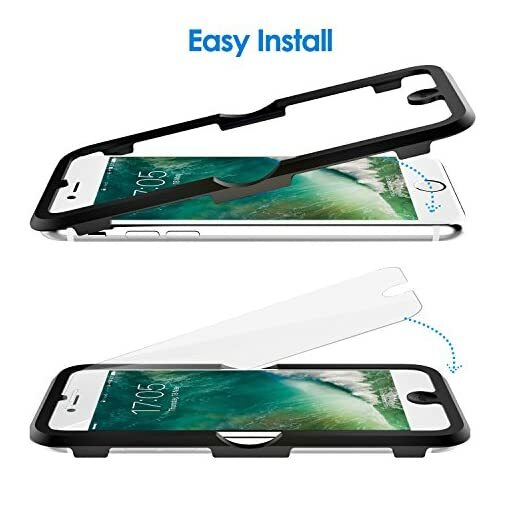 Easy, simple, and PERFECT. 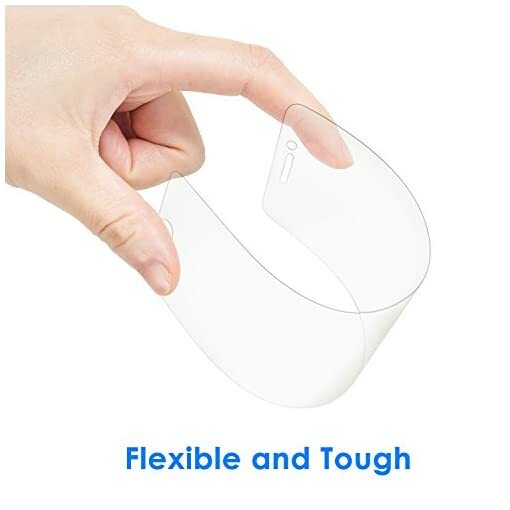 Made with high quality 0.33mm thick premium tempered glass. Extremely high hardness: resists scratches up to 9H (harder than a knife). 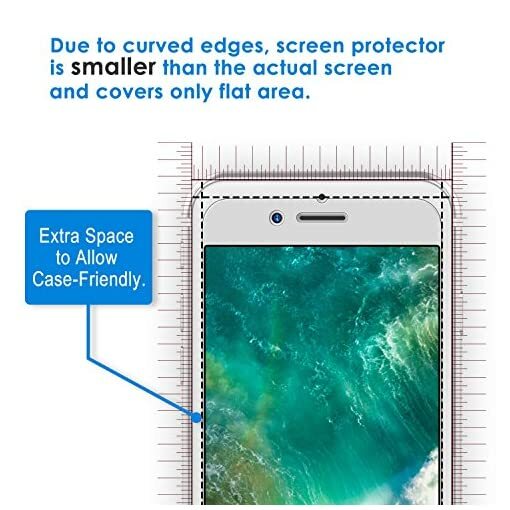 Dust-free, fingerprint-free, bubble free. 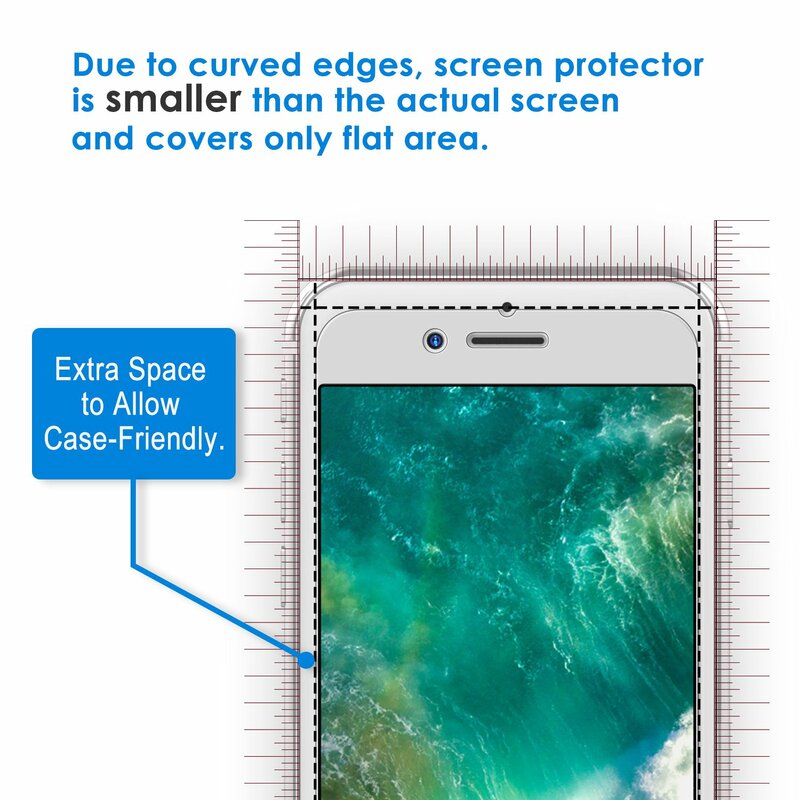 High-response and high-transparency.